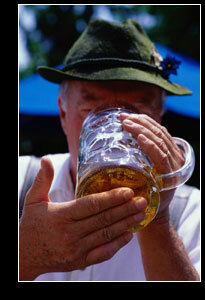 Throughout the year, there are usually hundreds of beer festivals and beer events held all around the world. These beer festivals are sometimes called 'tastings' - because you can taste and sample as much as you want of the various beers on display at the event. For our beer festivals section, below we have selected a few beer festivals and events that we think may be of interest to you. If you would like to see a specific beer festival featured on this page, please do us the details. The 12th Annual Great Bocktoberfest Music Junket is Texas� largest, one-day outdoor music festival and will be held in Shiner, home to the award winning portfolio of Shiner Beers for the past 96 years. Shiner beer fans and music fanatics will enjoy a celebration of live music, good food, good friends, and great beer. This year�s music performers include Audioslave, Good Charlotte, Seether, SheDaisy, Randy Rogers Band, and Darryl Lee Rush. Tickets for the Bocktoberfest Concert are $40 plus service charge and will be available online at www.shiner.com beginning August 26th. If available, tickets will be sold at the gate on the day of the show for $45 plus service charge. Parking is free. Children six and under, accompanied by an adult, are free. Six hundred overnight campsites will be available to concert-goers for tents and RVs in Green Dickson Park, site of the Shiner Bocktoberfest Concert, for an additional fee. Space is limited, so campers are encouraged to book early. Fans can tune into local Shiner radio stations or visit www.shiner.com for more details.